Punchestown Racecourse has announced details of their social media image upload competition for the 2018 Festival, Tuesday 24th to Saturday 28th April. 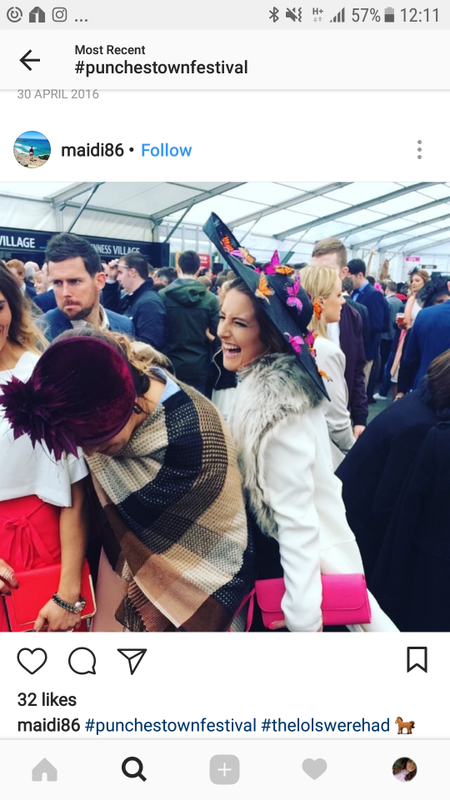 The ‘Photo Of The Day’ initiative, which will run each day of the event, will be rolled out on the official punchestownraces Instagram platform and all you need to do to enter is follow the feed and include #OutInTown18 on your festival Instagram snaps. The judges will look for images that capture the essence of the Festival including racing action, style, social images, venue shots and of course racegoers having a great day out. However, all images must be taken by the Instagram profiler themselves and not a professional photographer or a repost of an image online. The top five images across the week will be put to a public vote and the overall winner will receive a brand spanking new iPad generously sponsored by EMS Copiers. The final five images may also be published as part of the marketing campaign for the 2019 Punchestown festival. “This idea came about as each year the selection of images captured by the public attending the festival and shared on social media are truly incredible! They include high fashion shots of the Bollinger Best Dressed Lady Competition, group shots of friends cheering winners home and of course, wonderful moments of racing action captured in motion. With the ever improving advances of mobile phone photography, everyone is a photographer now! So based on that theory we will have 125,000 photographers at the Punchestown Festival and with this competition and prize it will encourage them to share their #OutInTown18 experience”, Shona Dreaper, Punchestown Head of Communications. The Punchestown Festival takes place from Tuesday 24th to Saturday 28th of April 2018. The action-packed, fun-filled, style showcase attracts over 125,000 people to the famous racecourse. Festival tickets range from high-end hospitality packages to great value admission only and group packages from just €30pp, details at www.punchestown.com or by calling +353 (0)45 897704.